There is a quote by George Clooney that has always stuck with me. He says “The only failure is to not try.” This is such a wonderful life lesson because many times you get told no and you feel like giving up but that is the only way to guarantee your loss. I had the pleasure of interviewing Gabriella Martinez. 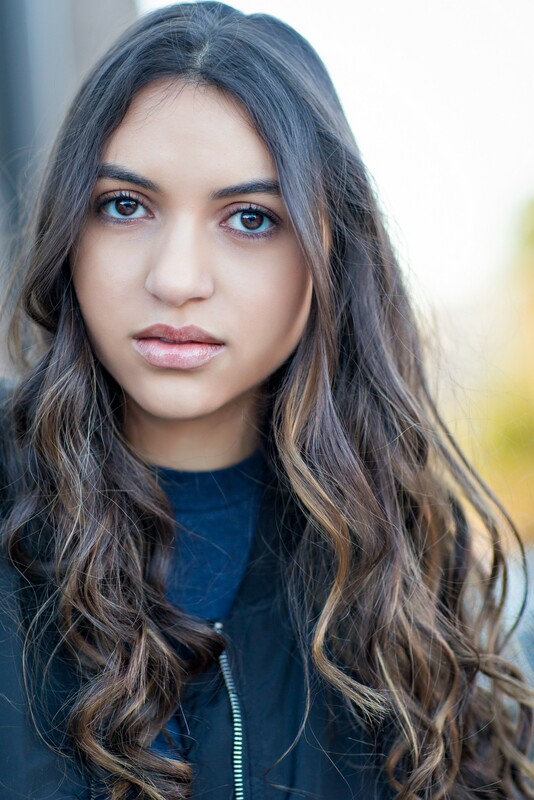 Gabriella is an 18 year old actress and singer from Las Vegas has been auditioning and working professionally in her field since the age of 8. Not only has she appeared on some crowd favorites such as Young Sheldon on CBS, but she also graduated high school early and is successfully in her 3rd year of college. This fun loving vegan is a force to watch out for. Ever since I was little I have had an itch to perform. My older brother and I would actually make skits to show our parents. It really started in elementary school when I starred in my first school theatre production. The show was about historic performers from Las Vegas and we played many different past era performers. On the set of a Denny’s commercial I starred in, we jumped into a freezing cold pool in the middle of the night in the windy canyon. My cast mates and I sat in a Denny’s booth in a backyard pretending to look warm while enjoying a meal from Denny’s. It was an unforgettable set and for sure one of the most interesting directions I have received. When I was first starting I always thought that using my hands in a scene would be distracting for the audience. In every audition I wouldn’t move my body and only use my face for expressions until a casting director told me to loosen up and use my body to express how I’m feeling. It was a wake up call to me that being as natural as possible is the best way to tell the truth in a scene. I am so excited to be working on a feature film I recently booked titled “Real Talk.” It is a heavy subject and it took me out of my comfort zone to show the hardships of a reality that is rarely touched on. I am also working on a short film with my amazing friends Fabrizio Guido and Nick Alvarez where we play characters that resemble our real life so well. When I filmed “Young Sheldon,” Jason Alexander was the guest star in the episode and he was such a bright light on set. I was in the makeup chair and he introduced himself to me and everyone in the makeup trailer was cracking up at the stories he was sharing. He did every take a different way and each time it was more creative. David Howie, the director, loved how much fun we were having trying the script different ways. The most important part of thriving in this industry is staying confident in your craft. You should fall in love with the process of auditioning because when you are having fun doing what you love, the success will come naturally. There are so many different things that I am passionate about that I would love to bring to light using my platform. If I had to choose one that stands out to me the most, it would be The Flint Water Crisis. I want to use my influence to help the people in Flint, Michigan. Sending care packages and keeping the story in the media can help the families affected. 1. It is okay to mess up. It is easy to get trapped in the mindset that “you only get one chance” but how else are we going to learn if we do not make mistakes in our craft? 2. Be yourself. Everyone has a piece of them that they can apply to each character. Just be yourself and you will find that it is easier to connect to characters we portray in our work. 3. Auditions aren’t scary. My nerves would be wrecked by the time I got into the audition room and it would cause me to bomb my scenes. Auditions are not supposed to scare you, they should be fun! This is the time that you do what you do best, so go in there and crush it. Practice being in audition rooms with your friends or your coach and it will help you see this process as a fun and easy going way of life. 4. Confidence is key. Trust that you are in the right place at the right time to receive great success. My favorite example of this is how Jim Carey was homeless before his big break and wrote himself a check for 10 years down the line. What do you know, in 10 years he received the check for the same amount of money and is now a wildly successful actor. 5. Let go of control. The process of auditioning can be very nerve wracking when you first start but there are so many factors that go into a casting. Trust that you prepared well enough to show a great performance and move on to the next one. Sometimes it could be the color of your eyes or even your height. Words cannot express how grateful I am for my parents. They are such hard working providers and have made it possible for my dream to come true. My mom has been driving me to LA for auditions for many years and now that I live in LA I understand the patience and dedication she has. She has never given up on me and only pushes me to be the best version of myself. This is the hardest question because I admire so many actors and actresses that have come before me. Someone I would love to have a private breakfast with would be Viola Davis. She is such an inspiring, strong woman, and a firework of an actress. Her performances have resonated with me and just by watching her performances I can learn so many things.